The Telephone System in the U.S. Calling within the U.S. is easy with these tips! There are four types of calls you may need to make while in the U.S.: local, long distance, toll-free and international. We will use the InterExchange telephone number, 1.212.924.0446, to demonstrate how to use the phone system in America. Phone numbers in the U.S. consist of a 3-digit area code (e.g. 212), then a 7-digit local number (e.g. 924.0446). If you call a number within or outside of your area, you will usually need to dial 1 plus the area code (e.g. 212) and then the 7-digit local number (e.g. 924.0446). Some small towns with only one area code may only require you to dial the 7-digit local number. Ask your host or dial "0" for help from an operator. A cell phone will automatically add 1 to the beginning of any long distance call. Numbers that start with 900 are premium rate calls that can be very expensive. Wherever you are in the U.S., you can dial 911 on any telephone in an emergency. You will be connected to emergency services (fire department, police and ambulance). This is always a free call. Do not call 911 for non-emergencies! Coin-operated public telephones are not as common in the U.S. as the once were. 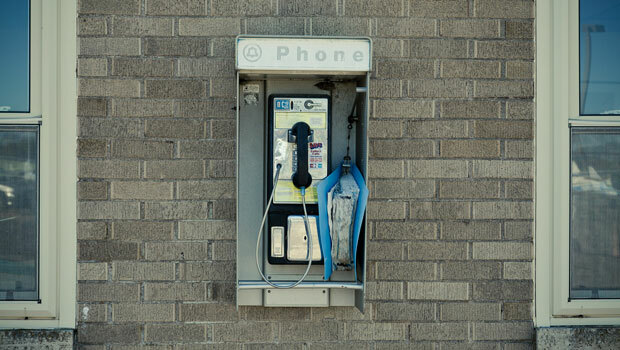 If you do find one, most local calls cost around 50 cents on a public pay phone. The U.S. does not have phones where you can insert a phone card. Each pay phone will have directions printed on it. If you are calling outside your local area, dial the phone number and then a recorded message will tell you how much money you will need to insert into the phone. You should have several dollars worth of coins ready if you are making a long distance or an international call on a pay phone. You can use a phone card when using a public pay phone or someone's private phone. However, unlike in most other countries, phone cards in the U.S. are not inserted into the telephone. Phone cards have a toll free number, 1.800 plus 7-digits, which you dial first. Follow the instructions printed directly on the phone card to make a call. Calling "collect" means that the person making the call does not pay for the call, but the person receiving the call does. Please be sure that the recipient of your call has told you it is okay for you to call them collect. Otherwise you should call them using a phone card. Collect calls cost more than dialing normally. If you do not know a telephone number, you can call 411 for information (you will be charged a fee). You will need to tell the operator which city you are calling and the name of the person or business you are trying to reach. Directory assistance for toll-free numbers is 1.800.555.1212. Use this number when inquiring about phone numbers for airlines and bus companies. Phone numbers in the U.S. may contain letters, especially free phone numbers. When you look at the phone pad you will see that each number corresponds to 3 letters. Simply press the number where the letter appears; for example, 1.800.AUPAIRS would be 1.800.287.2477. SIM cards are offered for purchase in many retail stores. These cards can be inserted into unrestricted international mobile phones for use in the United States. It is important to be aware of the charges associated with any SIM card before purchasing it! Roaming: When you use your mobile phone while traveling to a different country it is called roaming. These roaming fees are excessive so make sure you are aware of the rates before using your mobile phone from your country. The only answer to excessive roaming fees is to use a phone service from the USA. Make sure your phone is unlocked and get a local SIM and calling plan. If you've brought along a laptop, tablet, smartphone or have access to a computer and have access to the internet, you can use Skype to make cheap or free international calls. Visit www.skype.com to set up an account and add credit. Never download Skype software onto a public or work computer without asking for permission first.